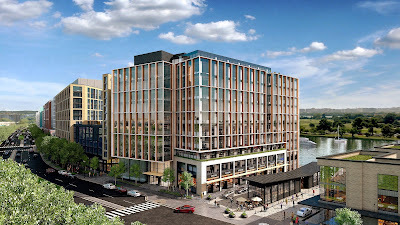 While D.C. United deals with ANC opposition and Zoning Commission concerns over the design of its proposed stadium on Buzzard Point, a second parcel across 1st Street from the project is now being marketed by MAC Realty Advisors. Parcel B, as it’s being called for now, is a 1.6-acre piece of land bordered on the west by 1st Street, on the east by Half Street, on the north by the proposed public park, and on the south by S Street. Potential uses for the site run the gamut from a hotel, to office, to residential – either option potentially containing ground floor retail. D.C. United is expected to reach an agreement with a developer partner by March 2017. This parcel will have to go through its own design review with the Zoning Commission before construction can begin, but the site will likely remain vacant for only a short time after the stadium opens in 2018. 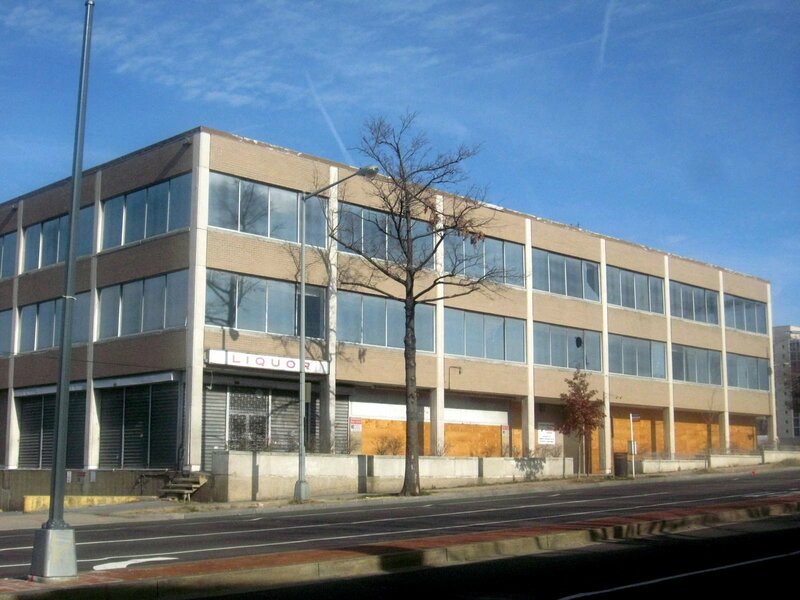 According to the Washington Business Journal, a site at the intersection of South Capitol and M streets is one of the three under consideration by the GSA to relocate the Department of Labor headquarters. The current headquarters building is located at 200 Constitution Avenue NW. 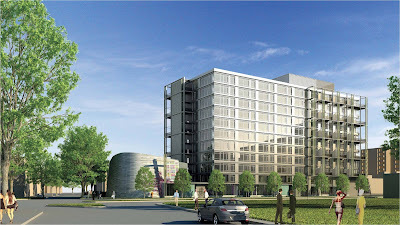 GSA is looking for a site that can accommodate between 850,000 and 1.4 million SF of space for the new DoL headquarters. In addition to South Capitol & M streets, the other two sites are located in NoMa and Poplar Point. 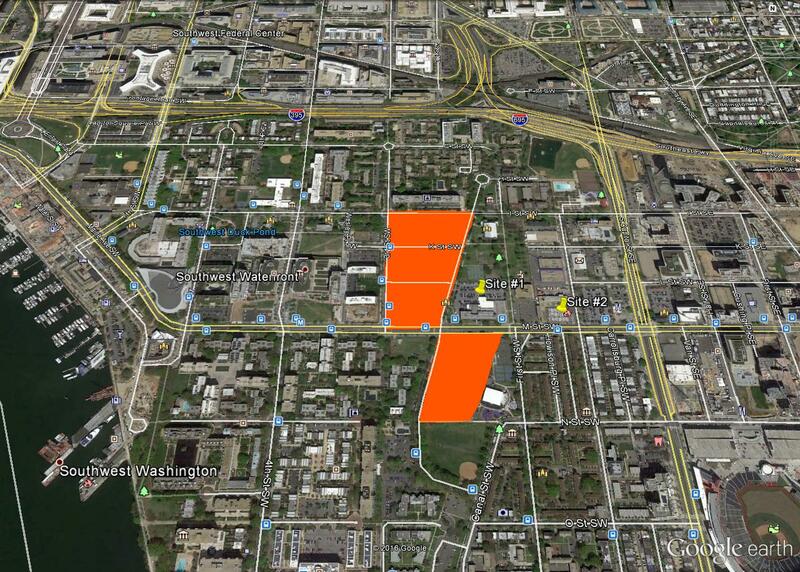 While the GSA lists the SW site as “Capitol Riverfront,” it is technically within the SW BID. The site is currently occupied by a parking lot and a 7-Eleven and is owned by Vornado. 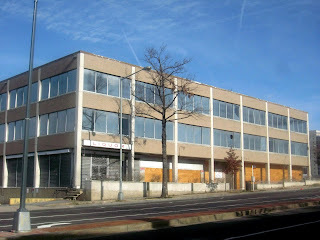 Previously, the parking lot was an office building before it was demolished several years ago. The parking lot is currently being used by The View at Waterfront for parking since construction of two new residential buildings are currently underway on their parking lots. If the South Capitol and M streets site is selected, it would be the second federal headquarters to be located on the M Street corridor - the Department of Transportation headquarters is located at M and 3rd streets, SE. It would also be the first federal headquarters building in Southwest located south of the freeway. Building which used to occupy intersection of Half & M streets. A contract will be awarded next month to evaluate the three sites in compliance with the National Environmental Policy Act (NEPA) and the public will have the opportunity to comment during this phase. There is no timetable for when the preferred site is selected or when construction would begin. This post will be updated when more information is available. This isn’t the first Hilton hotel planned for L’Enfant Plaza. A Homewood Suites by Hilton was planned to be built at 9th and D streets by JBG, but those plans have been put on hold indefinitely. 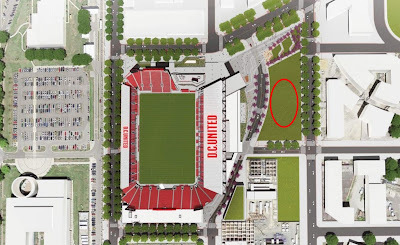 The Zoning Commission will be meeting this evening to hold a public hearing on the D.C. United stadium PUD. Ahead of the hearing, several letters of support and others in opposition have been pouring in to the Commission. One of those letters of opposition comes from ANC 6D, which still has concerns about the transportation plan and environmental issues with the Buzzard Point site. At the October ANC meeting, the commissioners voted unanimously to not support the PUD until a number of issues were addressed. Although D.C. United revised their PUD application earlier this month, partially in response to the October vote, those changes did not sufficiently address the major concerns of the ANC. ANC-6D continues to assert there exists no reliable Transportation Plan for the Stadium & Buzzard Point. DC United’s transportation plan is not informed by and/or directly contradicts a number of transportation proposals advanced by DDOT, team consultants, Office of Planning (each of which is currently in the Case File), and most specifically, the Buzzard Point Vision Plan which purports to present Half Street as the “Transportation Spine of Buzzard Point.” In addition, and in answer to specific questions about the current Buzzard Point Plan, we have also heard statements quotes made in public meetings from both the Directors of Transportation and the Office of Planning that contradict the recommendations of their own departments in this matter. 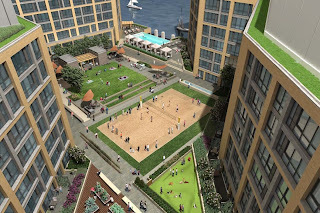 ANC-6D recognizes that the near Buzzard’s Point residential community is a close knit neighborhood currently facing definite health consequences as a result of the excavation and remediation of the soccer stadium site. Although a great deal of preliminary work has been on-going for months to prepare this extraordinarily contaminated site for future development, including tearing down and removal of structures that contained asbestos and other hazardous materials, little or no effort has been directed toward preparing community residents to deal with the enormous environmental impact that the removal of all of the chemicals and contaminants may have on their health. Significant vapor contamination from dust, gases and fumes is inevitable on site since the clean-up plan includes removal of such contaminated soil both on and below the surface. In light of these concerns, the ANC is requesting a delay in the start of construction until these issues are resolved. If the Zoning Commission approves the PUD, construction is scheduled to begin in early 2017 with the stadium opening by the summer of 2018. Update: Many of the issues addressed by the ANC were brought up during the 4+ hour Zoning Commission hearing. Among the other concerns brought up by the Zoning Commission include the stadium's industrial design, while in the eyes of the Commission is improved, still looks utilitarian and exposes the "underbelly" of the facility; too much signage; valet bike parking located opposite of the main stadium entrance; and no reuse of water collected on site. There was not enough time to complete all testimony at the hearing, so a second meeting was scheduled for December 14 at 6:30pm. The second phase of Capitol Park Tower apartments now has a name…it will be called The Kiley on 4th. The name pays homage to Dan Kiley, the landscape architect that designed Capitol Park and other Southwest landmarks, such as Benjamin Banneker Park. Since Capitol Park Tower was deemed historic by the Historic Preservation Review Board (HPRB), the project needed to seek approval from the Board. 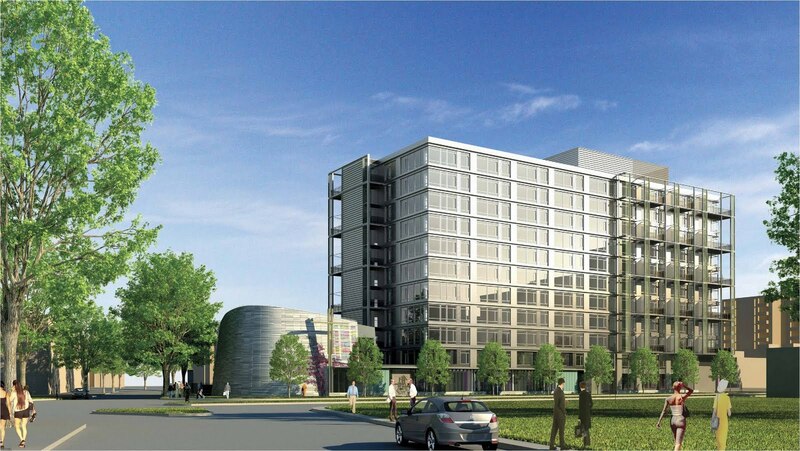 After a lot of back-and-forth with HPRB, the 330-unit project gained approval in early 2016. Some original elements from Dan Kiley’s design will remain, such as the large pool on the east side of Capitol Park Tower. Other components will be reimagined, such as the concrete canopies used to cover the parking garage will be repurposed as covered walkways between the existing building and the addition. New landscaping between the addition and Capitol Park Tower will be designed to more closely resemble Kiley’s original design. 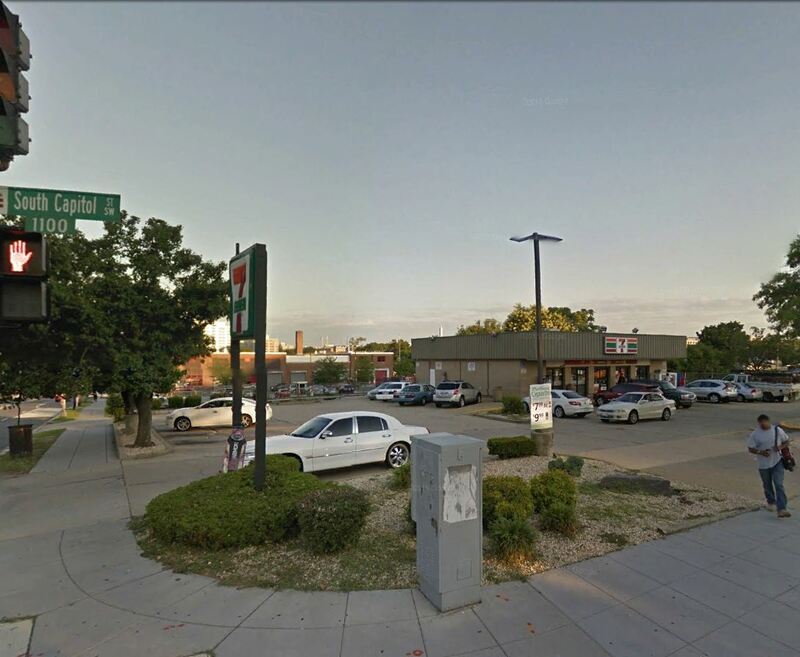 In addition, the surface parking located on G Street will be replaced with landscaping. Construction on The Kiley is expected to get started in 2017 with completion in 2019. There was a Greenleaf community meeting back in the summer which gave an update on the long process ahead to redevelop Greenleaf as a mixed-income community. There were two other community meetings in March 2016 and October 2015 where input was gathered on the redevelopment plan. In order to start the redevelopment process, the Housing Authority has made a commitment to using a “Build First” model, so existing residents are not displaced from the neighborhood while the public housing complex is redeveloped over the next several years. Two nearby publicly-owned sites have been identified as potential candidates to build the initial phase of the redeveloped Greenleaf. One is the parking lot adjacent to MPD’s First District headquarters at the northeast corner of Delaware Avenue and M Street. The other site is the DC FEMS Engine 7 repair shop at Half and M streets. Block A is bounded by 3rd Street to the west, Delaware Avenue to the east, M Street to the south and L Street to the north. 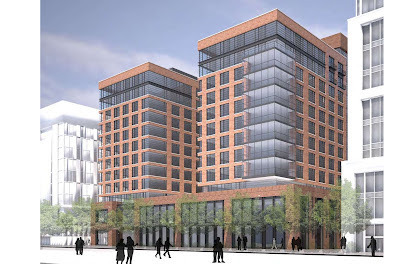 An affordable seniors/disabled 11-story apartment building with 272 units would be built along M Street with about 15,000 SF of ground floor retail. The northern portion of the block would be developed with a mixed-income nine-story multifamily building with 214 units. Block B is bounded by 3rd Street to the west, Delaware Avenue to the east, L Street to the south and K Street to the north. The west portion would have about 37 townhouses and the east side of the block would be a seven-story multifamily building with about 207 units, with some townhouses on the lower floors. 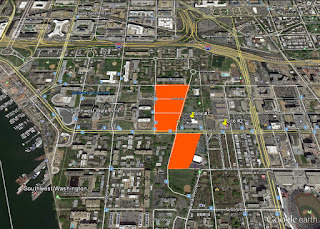 Block C is bounded by 3rd Street to the west, Delaware Avenue to the east, K Street to the south and I Street to the north. The west portion would have about 37 townhouses and the east side of the block would be a mid-rise multifamily building with about 340 units, with some townhouses on the lower floors. Block D is bounded by Delaware Avenue to the west, King-Greenleaf Recreation Center to the east, King Greenleaf Ballfield to the south and M Street to the north. On the northwest portion of the block, an 11-story building would be constructed along Delaware Avenue with about 320 units and 7,000 SF of ground floor retail. A second 11-story multifamily building would be constructed on the northeast portion of the block – this one would have about 420 units, with some townhouses on the lower floors. The south portion of the block would include 42 townhouses. Excluding the “Build First” phase of development, nearly 1,900 units would be built at Greenleaf, replacing the existing 493 units of affordable housing and adding a significant amount of market-rate housing. Nothing new has happened since the July meeting, but the next step in the process is to come to an agreement with the District on a site to do “Build First.” Following that, the redevelopment plan needs to be finalized and then the Housing Authority will issue a RFP to select a developer partner. A community meeting will be held on Wednesday, November 30 at 7pm at the SW Branch library (900 Wesley Place) to discuss the modernization of the MLK Library downtown. In addition, there will be discussion on plans for a new SW Branch library on the existing site, for which DCPL recently released a RFP for design-build services. DCPL will select the winning Design-Build team by March 2017 and will begin the design process in the spring. An interim library will be built, which will occupy approximately 3,000 SF in existing retail or commercial space within a reasonable distance from the current library. The budget for the new library and interim facility is $11.7 million. Construction of the interim library will begin in the middle of 2018 and the old library will be demolished once the interim facility is complete, around August 2018. The new library will then be built with an anticipated completion date of December 2019. The new library will be at least LEED-Gold certified. Tangentially related: The Friends of the SW Library will have a Holiday Book Sale on Saturday, December 10 from 10am to 3pm. Sale proceeds support events and supplies for the SW Branch library. St. Matthew's Christmas Tree Lot Giveaway Returns! Although the St. Matthew’s Lutheran Church lot at Delaware Avenue and M Street is now a construction site, the annual tradition of having a Christmas tree lot on the site will continue. The church will be giving away a total of 130 trees on Saturday, December 3, starting at 10am on the sidewalk along M Street in front of the construction site. Reservations will be given on a first come first serve basis and can be obtained by either sending an email (office@stmatthewsdc.org) or by calling (202-484-3189) before December 2. Reservations can be made at the St. Matthews’s lot beginning at 10am to pick up a tree, if any remain, after 12pm. The trees will be complimentary, but the church is asking for people who are able to afford it to make a generous contribution to the church’s World Hunger Appeal. There will be free food and beverages at the giveaway as well as construction drawings of the mixed use project, which will include a new sanctuary for St. Matthew’s as well as a 221-unit apartment building. Blue Bottle Coffee: a San Francisco-based artisan coffee roaster will open in the Market Square area of District Wharf near the Municipal Fish Market. FLORENTIJN: a unique, ultra-modern Belgian-concept bistro by Chef Jan Van Haute. The Press: a neighborhood dry cleaning and laundry shop with tailoring services by Je Kang. Bisnow reported that two additional retailers will be coming as well, including Ben & Jerry’s and Bella Moda Salon & Spa. Entertainment Cruises will operate a water taxi service which will connect District Wharf with Georgetown, Nationals Park, Old Town Alexandria, and National Harbor, as well as the potential for a larger network in the near future (perhaps to the new D.C. United stadium in Buzzard Point or Reagan National Airport?). The vessels will have a maximum capacity of 100 and will allow bikes and luggage on board. They will also have WiFi access and outlets available. Using new vessels designed for faster travel in no-wake zones, a water taxi trip from District Wharf to Old Town Alexandria will take about 20 minutes. The water taxi service will operate from March to December, with peak season from Memorial Day to Labor Day with three routes that pick up passengers at District Wharf more than 10 times daily. During the non-peak season, there will be less frequent service with a minimum of four pick-ups per day. In addition, during Monday’s ANC 6D meeting it was announced that a free water taxi jitney will connect District Wharf with East Potomac Park. The boats will hold up to 12 passengers and will depart District Wharf from the Transit Pier. A new pier will be built in East Potomac Park near where a historic pier was located. The jitney will also operate from March to December. Meanwhile, construction continues on Z Dock, which will be used by the liveaboards at Gangplank Marina once completed in early 2017. Afterwards, the docks by what was formerly 7th Street Landing will be demolished so construction can begin on the 7th Street Recreation Pier. Portions of the park near the Titanic Memorial have reopened and Waterfront Park should be completed by April 2017. 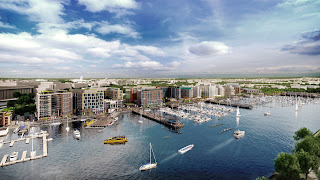 While the Washington Business Journal reports that the Washington Kastles will not return to The Wharf in a planned floating barge, part of the Transit Pier will have an ice skating rink during winter. Construction on Phase 2A is expected to start in mid-2018 with completion in 2021, so there will be less than one year of a lull in construction between phase one and phase two. 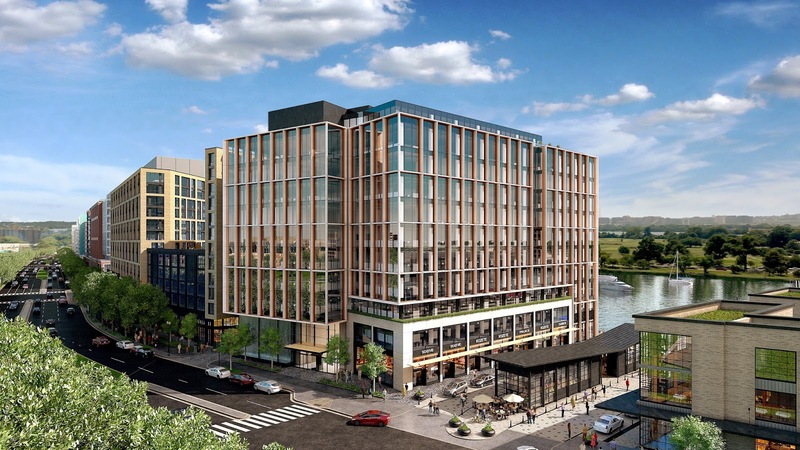 D.C. United recently submitted supplemental materials to the Zoning Commission ahead of its rescheduled hearing on November 28. The hearing was originally scheduled for November 2, but it was delayed after the team got pushback from neighboring developers and ANC 6D about the previous design of the stadium. In a letter dated yesterday to the Zoning Commission, the applicant made changes to the alignment of 1st Street to allow for 14,000 SF of retail along the east side of the stadium as well as parking on both sides of the street. The street now has a curve, which reduces the size of Parcel B, and it will still be closed to vehicular traffic on game days from Potomac Avenue to T Street. Future retail will be added on the east side of 1st Street south of S Street. Along the south side of the stadium, an additional 3,000 SF of retail will be included on the southeast corner of the building which also houses the team offices. The lack of retail and the alignment of 1st Street were some of the concerns neighboring developers had with the previous design, which they thought hampered access to their proposed projects and took away from the potential activation of Buzzard Point. We’ll see if the retail space at the soccer stadium gets filled any faster than the space at Nationals Park, where the 1st Street, SE side of the stadium remains empty eight years after the stadium opened. Besides adding more retail, the revised plan also includes changes to the public plaza, reducing the amount of hard surface and adding landscaping and terraces. The terraced green space will allow for a variety of events on non-game days, such as movie screenings and live performances. Adding green space was one of the requests of the ANC, since the grassy lot (Parcel B) to the east of the stadium is only temporary and will be replaced with a building once a developer is selected for that parcel. The large D.C. United sign in the plaza that was in the previous design was moved closer to the ticket window and the water feature was removed. Also, the entry point at the corner of 2nd and T streets was removed and replaced with a new entrance at 1st and S streets. This entrance was moved to align one of the stadium entrances with S Street, one of the major corridors envisioned in the Buzzard Point Framework Plan. Below are additional renderings of the revised plans. After unsuccessfully trying to swap several parcels in “Federal Triangle South” in exchange for construction services elsewhere in the city, GSA has changed course and decided to auction individual buildings, starting with the Cotton Annex at 300 12th Street. The Cotton Annex is a six-story building constructed in 1937 for use by the U.S. Department of Agriculture and sits on a 1.41 acre site. It is an 118,000 SF building with a large parking lot on the east side. In 2015, GSA applied for the building’s designation on the National Register of Historic Places. According to the historic designation application, the building is split into an “L” shaped administrative wing and a rectangular warehouse. The pending historic designation could limit how the building is repurposed, but zoning allows for mixed use development. The Industry Day/Tour will be held today from 10am to 1pm and the auction will start on December 1 with a starting bid of $5 million. Republic Properties has decided to convert 75 condo units it planned on the top four floors of its 1399 Maryland Avenue residential project at The Portals to rental apartments. Originally, this project was planned as an office building, but market conditions caused the developer to change course a couple years ago and move forward as a hybrid rental/condo building. This latest change brings up the total number of rental units at the project to 373 units. Unit sizes of the former condo units will still be large, especially compared to most new apartment buildings – averaging about 1,400 square feet. 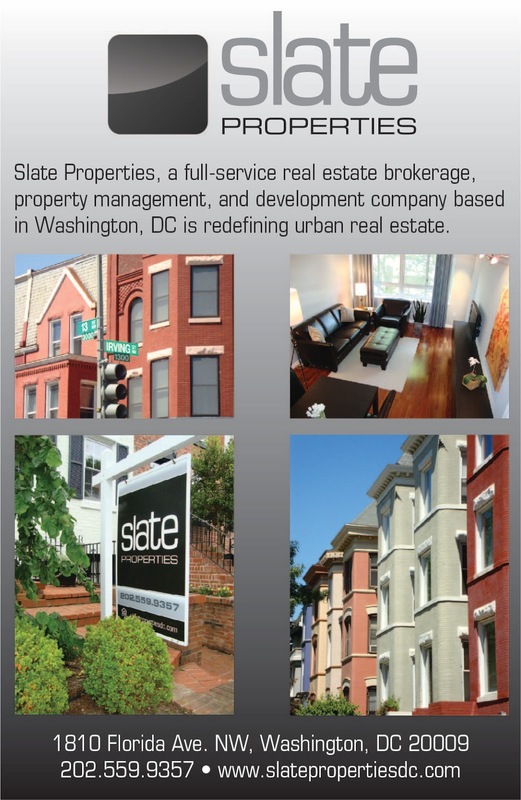 The project is planned as a high-end building and many of the units will have sweeping views of the Tidal Basin and the Jefferson Memorial (and traffic conditions on the 14th Street Bridge). This will be the first residential building constructed north of the freeway within the quadrant since Urban Renewal. Permits have been issued and construction is anticipated to start before the end of the year, but that timeline could slip into early 2017. Delivery will likely occur in the late 2018 or 2019 timeframe. Banners were recently placed on the apartment buildings under construction at District Wharf. Parcel 4A apartments (or 770 Maine Avenue) is now known as Incanto. The word incanto is Italian for “to attract and delight” or “to cast a spell.” Most of the brick along the Maine Avenue façade of the building is already up and a splash page for the project indicates that residents will be welcomed to the 175-unit building in the summer of 2017. The building will contain studio, one bedroom, and two bedroom units. District Hardware & Bike will be on the ground floor of Incanto with an address of 730 Maine Avenue. The 6,400 SF store, designed by Natalie Park Design Studio, will offer outdoor café space, two entrances, a glass garage door that can be opened on nice days, and a walk-up window where Vigilante Coffee will be sold. The bike shop will feature a bicycle fit studio. In addition to being a hardware store, bike shop, and café, the store will sell marine supplies, fishing rods, and stand-up paddleboards. With 7th Street Recreation Pier around the corner and a protected bike lane in front of the store, the location fits well with its hybrid retail concept. Meanwhile, the larger apartment project located at Parcel 2 will now be called The Channel, named presumably after the Washington Channel, the body of water separating District Wharf from East Potomac Park. The two-building apartment complex wraps around the Wharf Hall concert venue, which itself will be renamed something else before it opens next year. Several of the units in this 500-plus unit building will be micro units with Murphy beds and other built-in furniture. 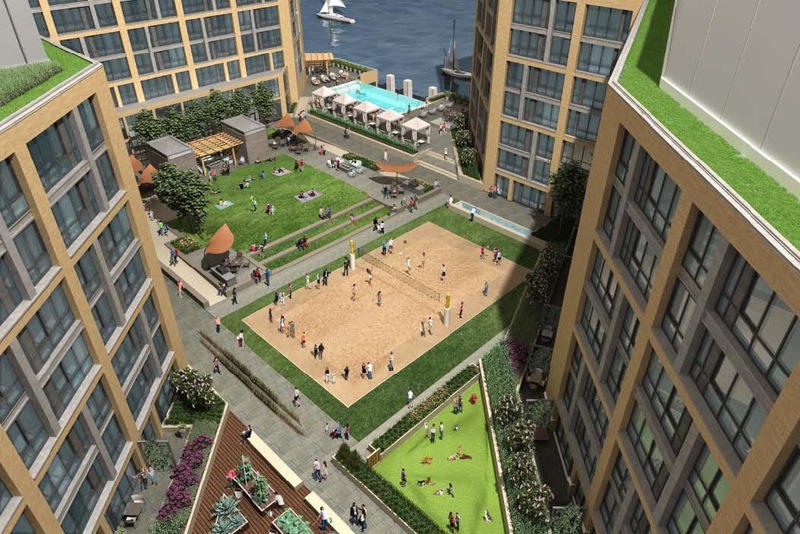 A unique feature of the building will be the large Wharf Club complex on the roof of Wharf Hall, containing a 7,000 SF fitness center, meeting space, infinity pool and one-acre park. According to the splash page, leasing will begin in the spring. 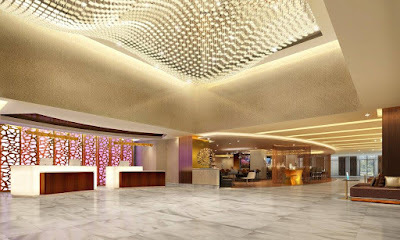 However, I suspect move-ins won’t start on this project until after Incanto, perhaps in the fall. Construction crews are making progress on Eliot on 4th, the latest apartment building to be built at Waterfront Station. The apartment building will contain 365 units and about 5,000 SF of ground floor retail. Twelve of the units will be townhomes along a private drive on the north side of the building. Leasing is expected to begin in January with move-ins scheduled for February. DC Comprehensive Plan Meeting Tonight! The Office of Planning will be hosting a community meeting this evening to review changes to the District’s Comprehensive Plan, “a 20-year framework that guides future growth and development in the city and shapes the places we live, work, shop, and play.” The meeting will be held at Jefferson Academy Middle School (801 7th Street) from 6 – 8:30pm.